The 21st century is an era of technological advances, and a geeky accessory like the Kindle ebook reader is undoubtedly one of the best inventions to date. As millions of individual bookworms around the world evolve with the times, they also need a much-needed transition into — quite aptly — ‘ebook-worms’. They love those Kindle Daily Deals, and Kindle justifies this by virtue of its convenient features. It facilitates easy and stylish ebook reading, because it remembers the last page or reading section you were viewing. 6 6. Fantasy & Science Fiction, Extended Edition by Spilogale Inc. 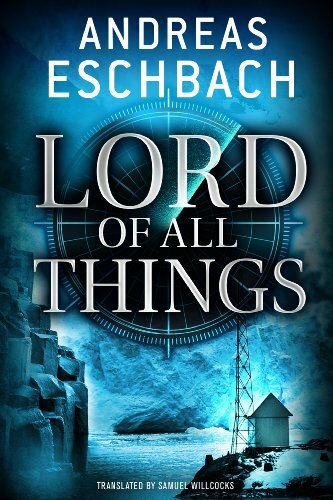 This won the Kurd-Laßwitz-Preis for best German science fiction novel in 2012. It is hinged on a Utopian paradigm where poverty is a thing of the past and this scheme of things is achieved via robotics and nanotechnology courtesy of the genius protagonist, Hiroshi, who is a laundress’ son and wishes to share this ideal life-scenario with his love interest, Charlotte, who is the daughter of the French ambassador — talk about the things a person will do and endure in the name of humanity, science, justice, and love, with the impending dangers that technology brings. If you want all the answers, this is not the book for you. The endings of each episode (there are six in the book) will leave your jaw on the floor and the ending of the entire book will leave you slamming your fist on the table because you’ll have to wait for the next season, just like on TV. Good and evil meet at the end of the world. When a polar shift occurs, the majority of the world has their minds wiped clean. There is a small group in Utah trying to make a new community from scratch. 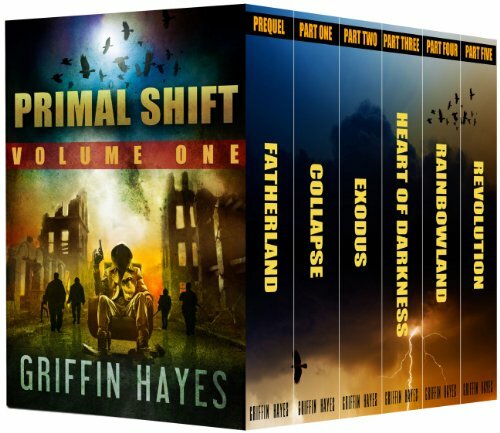 Author Griffin Hayes also backs up some claims with scientific facts. Spencer Shrike’s dreams are nearing their fulfillment. His business is doing well, he appears on TV, and he’s in-love; except for just one mess that has to be cleaned up first. And, until the trial is over, part of his future is on hold. Veronica, Ronnie, Bombshell — that sassy girl that has had Spencer’s attention is tired of waiting. She loves the man, and she isn’t going to allow her life to stop while everything slips into place. But, Ronnie hasn’t always been able to say no to Spence. Against all odds, a desperate group of survivors has emerged from that blood-soaked night that devastated the planet. Among them are two ex-Army Rangers, a businesswoman, and a third-year medical student. They’re now an endangered species trying to stay alive. A self-sustaining underground facility designed to withstand any calamity keeps hope alive in the countryside. The survivors must travel hundreds of treacherous miles to get there, with the night — and the creatures that dwell within it — always at their backs. 6. Fantasy & Science Fiction, Extended Edition by Spilogale Inc. Founded in 1949, Fantasy & Science Fiction magazine is the award-winning original publisher of such classics as Stephen King’s Dark Tower, Daniel Keyes’ Flowers for Algernon, and Walter M. Miller’s A Canticle for Leibowitz. 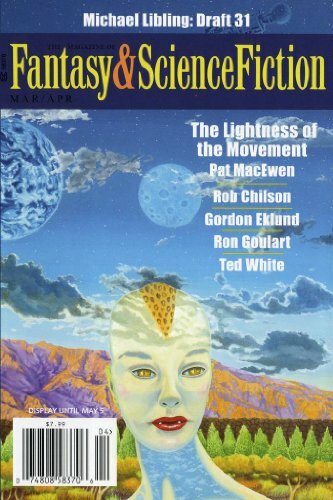 Each bimonthly issue offers compelling short fiction by writers such as Ray Bradbury, Ursula K. Le Guin, and Terry Bisson, along with the science-fiction field’s most respected and outspoken opinions on books, films and science, not to mention a dash of humor from its cartoonists and writers. Features six full-length novels from bestselling authors. 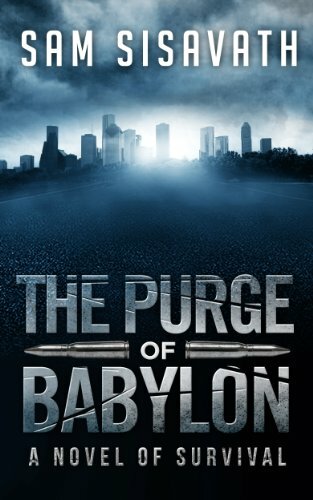 Immerse yourself in post-apocalyptic civilizations and bleak near-futures where hope still lives. Read these bestselling tales of survival against the odds, dark worlds, dystopian regimes, and heroic rebels. 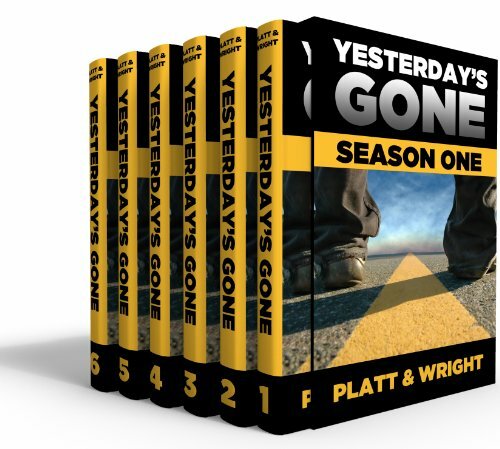 More than 450,000 words of thrilling post-apocalyptic fiction from six bestselling authors, all in one low-priced box set. We get to see how horrible life has become through the eyes of Sunset O’Donnell, a tough girl growing up in a cruel and unfair world. She lost her mother at a young age to the annual Cull hundreds of years after the nuclear storm of February 2024. Her world gets thrown upside-down by one little mistake which sends her and her best friend, Summer, to a very bad life-changing event, as she gets conned by the President’s daughter, Leisel Holt. Sunset’s courage throughout this book is commendable, though a bit naïve. One day, the elf named Caramel lost her Grandparents, the King and Queen of the Elves of Cardamom. They were kidnapped by the strange being she saw in the fields. The evil being took the King and Queen to its ship and sent Caramel and her parents to Earth, the forbidden planet. Caramel must use all of her abilities to escape from the forbidden planet, rescue her grandparents, and stop the aliens from robbing Cardamom. There’s no doubt you’ll never put your Kindle down until you’ve had your science fiction fix from that mouth-watering list. The materials there cover a wide variety of sci-fi sub-genres that will take you to the uncharted regions of your imagination, whether you are a seasoned adult sci-fi reader or a budding grade-schooler. For sure, many individuals still prefer the old practice of going to the library and actually smelling and touching the perforated sci-fi classics and whatnot, but the prospect and benefits of having potentially a whole library of sci-fi at your fingertips at any time of the day and practically anywhere in the world is as staggering as the need to protect the environment and conserve our natural resources. Learning, therefore, has not become this easy, convenient, cost-effective, and beneficial for millions of ebook-worms. Especially those Kindle Daily Deals. There’s no other way to go, but to think geeky and eco-friendly with the brain, and translate it into action with Kindle.